Search Results for "architectural styles"
Time lapse of sunrise over Federal Territory Mosque in Kuala Lumpur, The mosque's design is a blend of Ottoman and Malay architectural styles. Ascending aerial shot of Kek Lok Si Pagoda in Malaysia, detailing the various architectural styles from Chinese at the base, to Thai in the middle, and Burmese at the top. View on the tower of the Limoges cathedral in central west France. The cathedral is in the Gothic, Renaissance and Romanesque architectural styles. View on the facade of the limoges cathedral, in France. The cathedral is in the Gothic, Renaissance and Romanesque architectural styles. Limoges Cathedral (Cathédrale Saint-Étienne in french) is a Roman Catholic church located in Limoges, France. The cathedral is in the Gothic, Renaissance and Romanesque architectural styles. Traffic passes over a bridge crossing a river leading to one of many fjords near Bergen. Buildings and homes line the waterway surrounding the sea port. Mix of architectural styles old and new. Kuala Lumpur, Malaysia - November 11th, 2018 : Beautiful timelapse of clouds motion at Federal Territory Mosque during daylight. The mosque is blend of Ottoman and Malay architectural styles. Architectural styles of the Austro-Hungarian Empire. 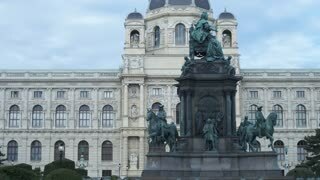 Monument to Empress Maria Theresa, Museum of Natural History in baroque style. Dolly shot. SINTRA, PORTUGAL - AUGUST 25, 2017: top view of National Palace of Pena, with its colors and different architectural styles. Popular landmark of Sintra near Lisbon. Sunny day in the blue sky. SINTRA, PORTUGAL - AUGUST 25, 2017: colors and different architectural styles of National Palace of Pena, Portugal Seven Wonders. Popular landmark of Sintra near Lisbon. Sunny day in the blue sky. LONDON, May 2017 - Golden hour cinematic shot of intricate detail of the Hampton Court Palace facade in London, England, UK. The palace has a unique balance between distinct contrasting architectural styles, domestic Tudor and Baroque. LONDON, May 2017 - Telephoto panning shot of the facade of the Hampton Court Palace, London, England, UK. The palace has a unique balance between distinct contrasting architectural styles, domestic Tudor and Baroque. LONDON, May 2017 - POV gimbal shot approaching the Hampton Court Palace in London, England, UK on a sunny day. The palace has a unique balance between distinct contrasting architectural styles, domestic Tudor and Baroque. LONDON, May 2017 - Exquisite panning shot featuring the Hampton Court Palace in England, UK behind a lavender field on a sunny day. The palace has a unique balance between distinct contrasting architectural styles, domestic Tudor and Baroque. LONDON, May 2017 - Medium telephoto shot of beautiful English formal gardens in the Hampton Court Palace, England, UK. The palace has a unique balance between distinct contrasting architectural styles, domestic Tudor and Baroque. LONDON, May 2017 - Telephoto shot showing intricate detail of the Hampton Court Palace with a waving Union Jack flag in England, UK. The palace has a unique balance between distinct contrasting architectural styles, domestic Tudor and Baroque.